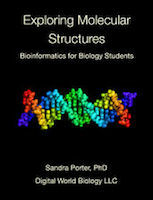 I'm teaching an on-line bioinformatics course this semester for Austin Community College. They are in Texas of course, but I am in Seattle. This presents a few interesting challenges and some minor moments of amusement. Today, the school sent all the faculty emails telling us to stay home if we're sick. Got it. If I think I have flu, I will not fly to Texas. Instead, I'll stay home and watch videos on coughing without contaminating others. Watch "Why don't we do it in our sleeves?" and find out how you rank on the safe coughing scale.